...I dunno, I was expecting worse. People are doing their fair share of '2017 was the worst, I can't wait for 2018', but, to be honest, I'm still giving 2016 the edge for 'worst year'. 2017, while flawed and at times haphazard, still allowed for some nice highlights and truly cool moments. Yes, I'm as willing as anyone else to get on to 2018, but I'd at least like to allow this year its proper memorial. 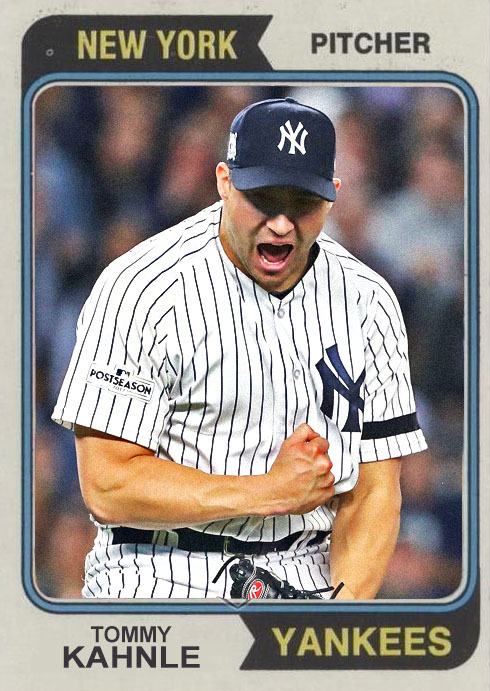 Like usual, I'll be pointing out specific trends, moments or feelings of the year, involving baseball, cards, and the rest of the world, starting each with 'this was the year that...'. You should know this by now, but here we go.. This was the year that the single biggest baseball star of the year, Aaron Judge, came from my team. And this was also the year that I was perfectly fine with snagging a jersey-shirt of his by the end of the year. This was the year that Topps, once again, put out an incredibly mailed-in and uninspired flagship set, and doesn't seem to be interested in making any improvements to the formula whatsoever. This was the year that around half of the current NFL teams in California have made plans to get the hell out. Also, probably unrelated, this was the year that part of California was on fire. This was the year that they actually made a Blade Runner sequel that was better than the original. I never thought they could do that. This was the year that I got to attend a game at Yankee Stadium, on Jackie Robinson day, against my least favorite team, the Cardinals. Not only did the Yankees win, but the Cardinals seemed pathetic and lifeless, and CC Sabathia proved the Yanks were smart to stick with him. This was the year that Queens of the Stone Age put out the single most effective rock album of the year. This was the year that I finally completed the 1990 Topps set, and the 1992 Stadium Club set. What's next? Not sure. Possibly another SC set? This was the year that the Philadelphia Phillies put some moves in place to actually look pretty menacing going into the 2018 season. With Rhys Hoskins starting, Carlos Santana at first, Pat Neshek back in the bullpen, and a host of rookies getting their shot, this could be a pretty nice year for them. This was the year that TV's biggest super villain was a mop that couldn't have waited another minute to fall over. This was the year that, once again, the best baseball card release of the year was Topps Stadium Club. It's not like anything else comes close. This was the year that I attended a game at Fenway Park, had some fantastic ballpark food, rooted for the Red Sox as they squeezed past the Indians, witnessed Austin Jackson perform the most amazing catch I've ever seen live, and wasn't found out by Boston police for being a Yankees fan. This was the year that three of my favorite filmmakers, Edgar Wright, Guillermo Del Toro and Martin McDonagh, released some incredible films that deserve the acclaim they're getting. 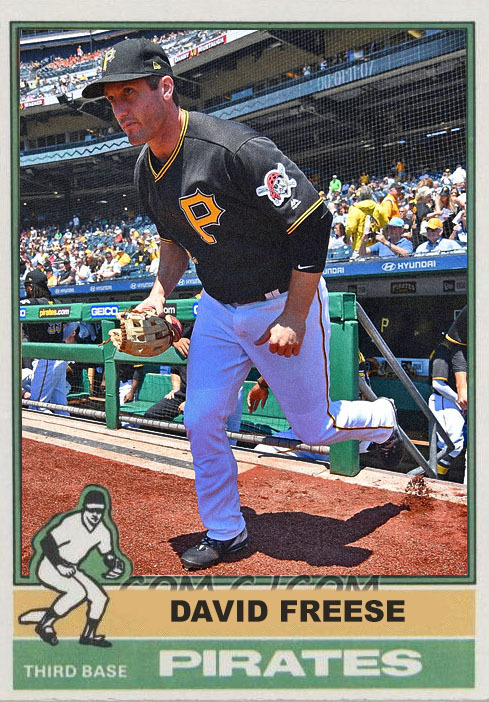 This was the year that Topps decided to bring back Gallery as a Wal-Mart exclusive, badly priced, simply designed set. And it was...okay? This was the year that I flew down to Florida and saw three Spring Training games, and checked out the Twins, Rays and Red Sox facilities. The games were fun, the weather was beautiful, and I got to have Kyle Gibson and Eduardo Escobar sign a ball for me. This was the year that somehow got the bright idea to make another season of Mystery Science Theater 3000. I never thought they could do that. This was the year that the Philadelphia Eagles had the best record in football. What's more, I ended the year with a Carson Wentz jersey in my closet (as, subsequently, did Carson Wentz). This was the year that the Houston Astros won their first World Series, and a well-deserved one at that, taking down the Dodgers and Yankees to get there. Not sure if this means any more will be in their future, but I did enjoy seeing them take these games. This was the year that I made more customs than I've ever made, wrote more posts than I've ever written, and wheeled toward the end of my ninth year of blogging. Don't know how I could have done this. So that was my 2017. It was seven flavors of crazy, but damn if I didn't enjoy myself. See you all in 2018. Boy, we sure got close, didn't we? This was a Yankees team that didn't look like much initially, and looked like they'd do what they usually did this decade for a second...but then they got good, and they got good QUICKLY. By the end of the season they were red-hot, and nearly got to the World Series, if it wasn't for the infinitely better Houston Astros, who were gonna take us out no matter what. 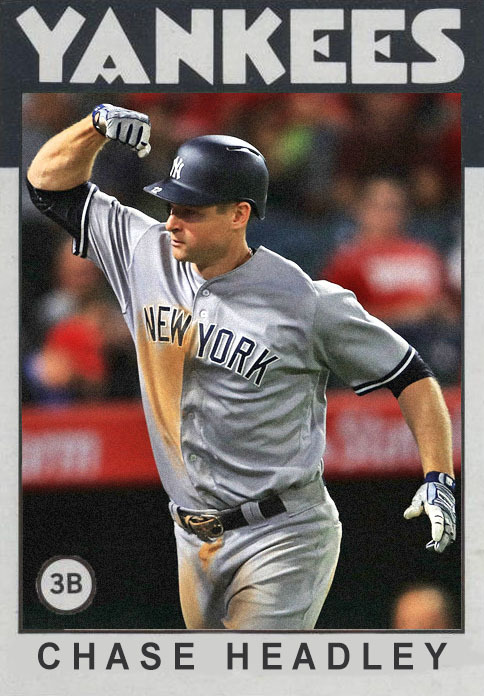 Jacoby Ellsbury, despite his usual mid-year injury, hit well for us, eventually heading to the DH position once the Yankee outfield well got mighty thick. I'm not sure how he's gonna factor into the 2018 season- everything he's done can just be done by someone younger and healthier. 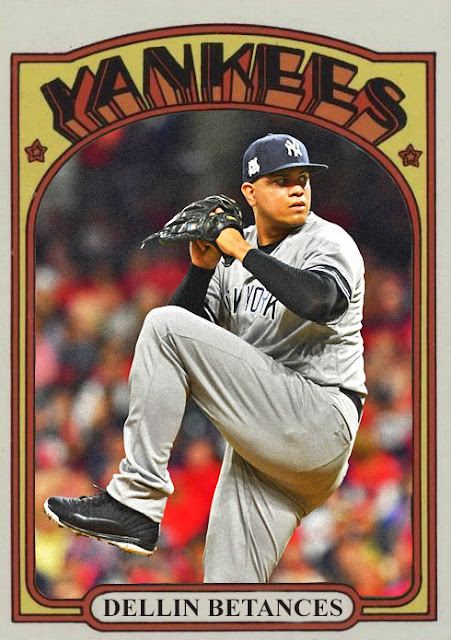 Dellin Betances had another great, ASG-worthy year as set-up man/occasional closer, and cemented his status as being one of the best relievers in the game, even outdoing Aroldis Chapman at some points. Chase Headley had moments of greatness in pinstripes this year, but for the most part, his performance bled into the usual for Headley- too inconsistent, too ineffective, not worthy of being a Yankee. Once Todd Frazier entered the picture, it was game over for Headley in New York- he's been shipped off to San Diego for Jabari Blash. 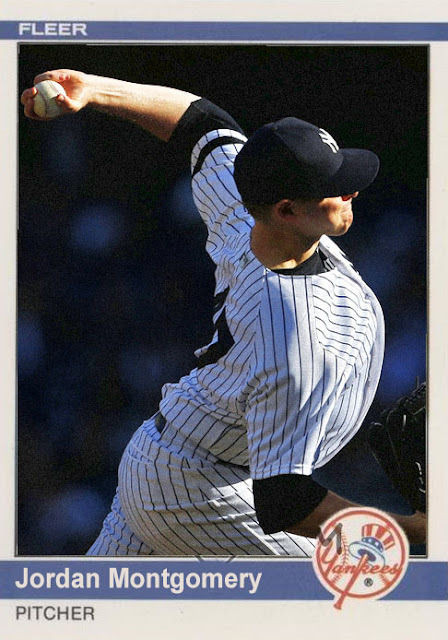 Jordan Montgomery, aka Gumby, had a pretty nice rookie season, despite bringing up the rear in the rotation. The guy had a strikeout-heavy year, with a 3.88 ERA and a 9-7 record, which was not bad at all for a guy who essentially snuck into the fifth spot. ..by having a 1 ERA and being an incredible asset in the postseason. 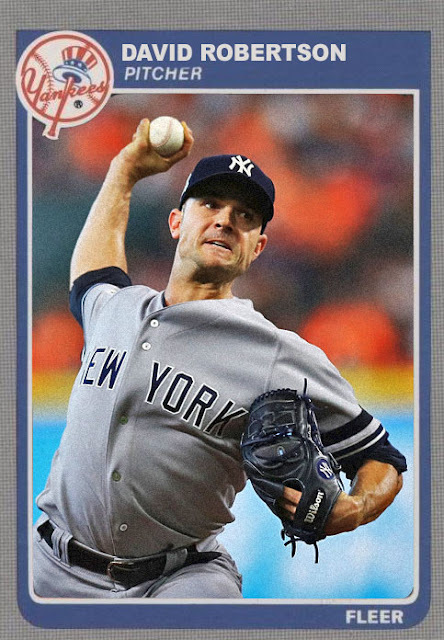 It's wonderfully nice to have David Robertson back in the bullpen, and I'm sure he'll be a very nice tool to have next season. 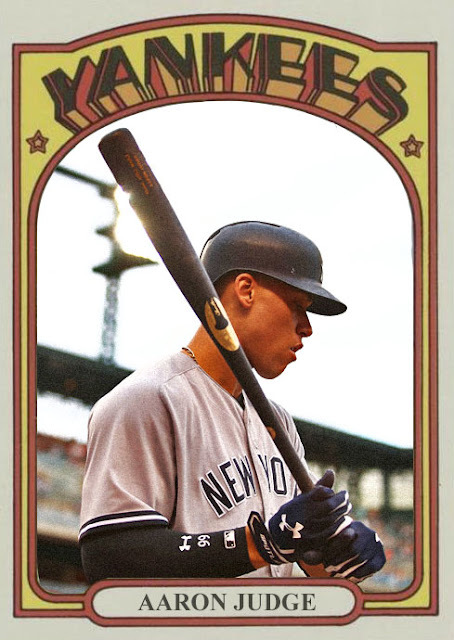 I'd be remiss if I didn't end this year of customs without saying one more thing about Aaron Judge. This was the year of Aaron Judge, by far. The guy broke out like nobody we've seen in this city in years, with home runs right and left, some incredible plate presence, some great outfield work, and with a hero complex that's satisfying the young fans of the Bronx. 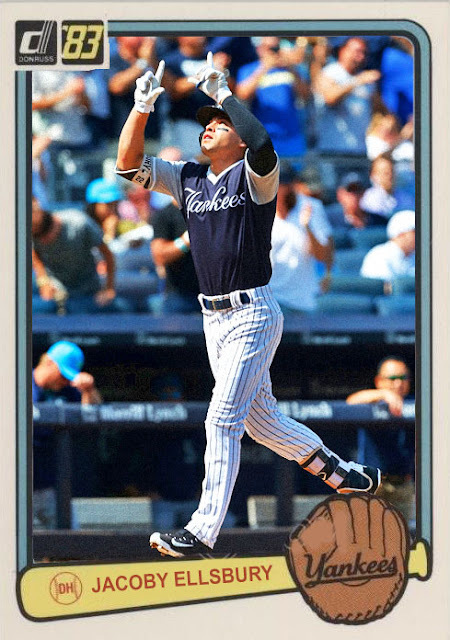 What I'm saying is if Aaron Judge can do what he did in 2017 for the rest of his career, we're all gonna be just fine. Also...I received a Yanks t-shirt for the holidays. And I was happy to find a Judge 99 on the back. Life is good. That was this year of customs, guys. Expect more of these in Spring Training, but sporadically, as you can never tell when a good photo of someone relevant is gonna pop up. I'll try to fill the void with posts about cards, as tough as that may be. I want this to be worthwhile for you guys, as well as for me. Yes, the White Sox were forced to shed Todd Frazier, Jose Quintana, Tommy Kahnle, Melky Cabrera and David Robertson over the course of the year, and yes, the Sox had to end the season in fourth place, but...they could be doing a lot worse. Besides, some of the people they've set up this year could lead them to a +.500 record in 2018. 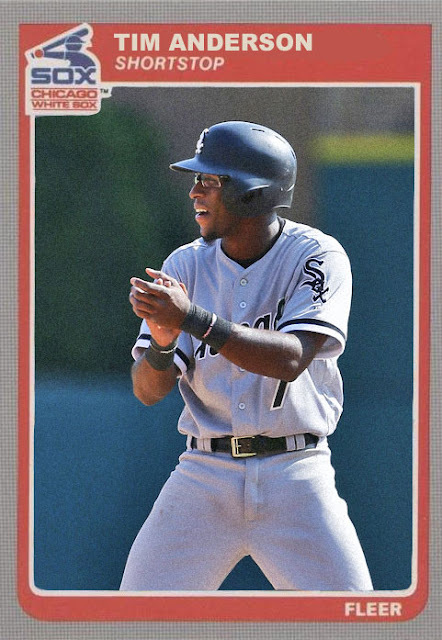 Tim Anderson took a step back from his 2016 rookie year, batting under .250 and relying more on power than on consistency. With Eloy Jimenez and Yoan Moncada looking ready, who knows where he'll fit into 2018. 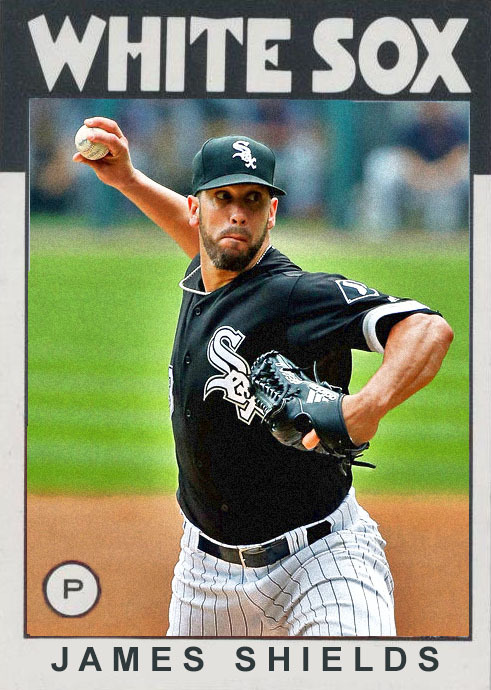 James Shields, as the sole veteran presence on the rotation after a while, sort of went back to his traditional numbers, notching 103 strikeouts with a bloated ERA and W-L ratio. Kevan Smith took over as the primary catcher halfway through, and did an admirable job, finishing with a .283 average and slowly edging Omar Navarez out of the position. 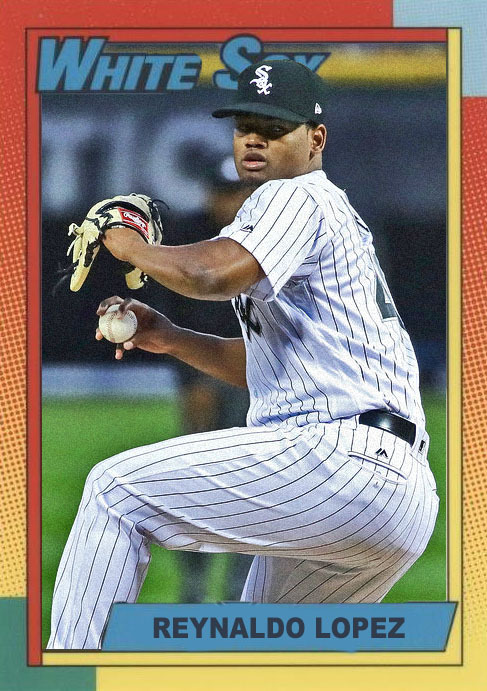 Reynaldo Lopez, one of the big rookies that the Sox got in the Adam Eaton trade, didn't get to the majors until late, but had some nice enough stuff in his 8 games, with 30 strikeouts despite, again, an uneasy record. 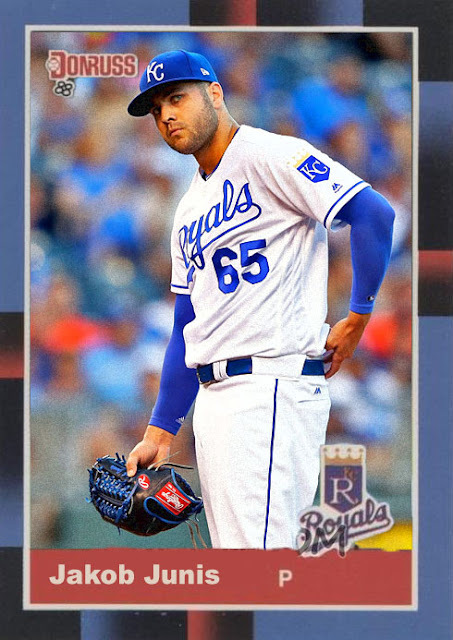 However, Lucas Giolito, the other piece of the Eaton trade, outdid Lopez, with a 2.38 ERA, and some of the gusto and power that he lacked in his 2016 come-up. 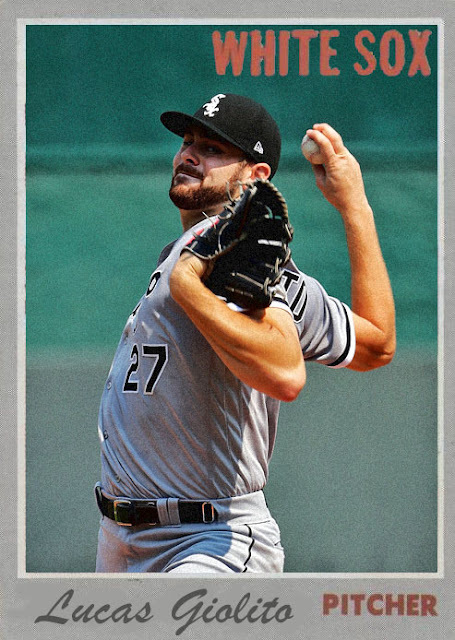 With 2018 lacking in sure options, it'd be a safe bet to say that the Sox are going to base their rotation around Giolito and Lopez, in addition to Carlos Rodon, James Shields and possibly Carson Fulmer. Coming Tomorrow- The Yankees team I'd been waiting quite a while for. 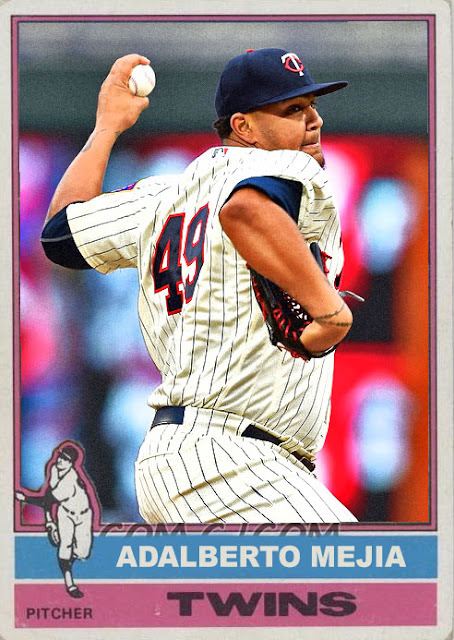 Because I posted so many great Twins stars during the season, I had to scrape the bottom of the barrel to give some impressive ones for this end-of-the-year bit. The Twins outdid their skeptics and manage to end the season with a Wild Card berth, a year after coming in last. Adalberto Mejía was a charter member of their ragtag rotation, utilizing veterans, young stars, and Bartolo Colon. 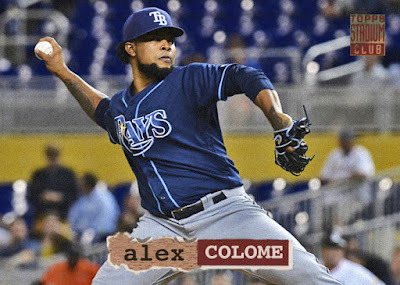 Mejia might be a Colon in the making- he's big, strong, and has a bloated ERA. He put up promising numbers, though, so the Twins may rely on him for the 2018 season. 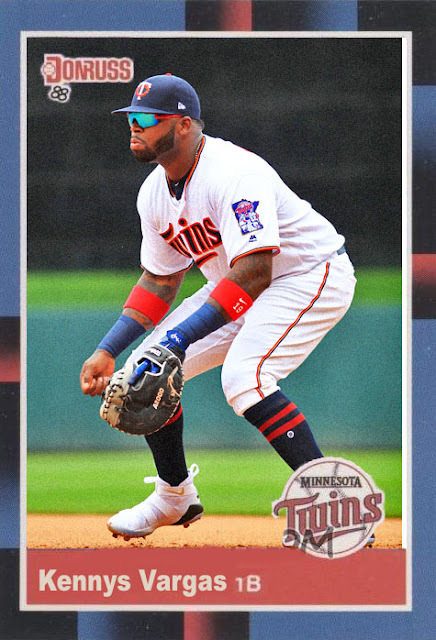 Kennys Vargas does subscribe to the school of 'high homers, but high strikeouts', so his role initially diminished with the onset of Miguel Sano. However, once Sano got injured, Vargas and his bat were plugged back in, even helping out Joe Mauer at first when needed. He's probably going to be a bench bat for next year, but he won't be counted out. Coming Tonight: They didn't wow people, but the youth movement may be bringing something big to the South Side next year. During the 2017 season, the Tigers gained four extra letters, the ones added to formerly Nick Castellanos' first name. This was the only net gain the Tigers had this year. The rest of the year, be it matches, players, fans...all losses. Even as his teammates were disappearing, Castellanos didn't have too bad of a year, hitting .272 with a career high 26 homers, despite an infield whose quality worsened with every acquisition. I imagine Castellanos, along with Miguel Cabrera, Jose Iglesias and Michael Fulmer, will be the sole pillars of experience in Detroit next year. 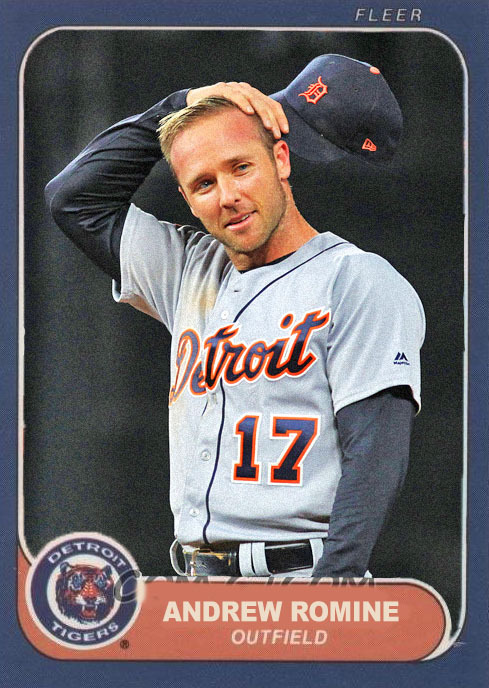 As starting options disappeared for the Tigers, opportunities arose for defensive extraordinaire Andrew Romine, a guy who's probably been on your favorite team without knowing it. As Justin Upton left, Romine nabbed a starting spot in the outfield and made up for inefficient offense by playing well in the field. Hell, Romine capped off the season with a rare 'all-nine-positions' game, one prompted by Brad Ausmus' generosity, and the lack of draws for fans. Jeimer Candelario, a prospect whose arrival in Detroit was made possible by a trade that brought Alex Avila and Justin Wilson to Chicago, had a pretty fantastic season post-call-up, hitting .330 with 31 hits in 27 games. These stats should translate to a strong full season, and Candelario is one of the guys the Tigers are banking on if they wanna return to the top of the AL Central. Coming Tomorrow- Due to their amazing finish, I only have a few new ones, but some highlights from Minneapolis. 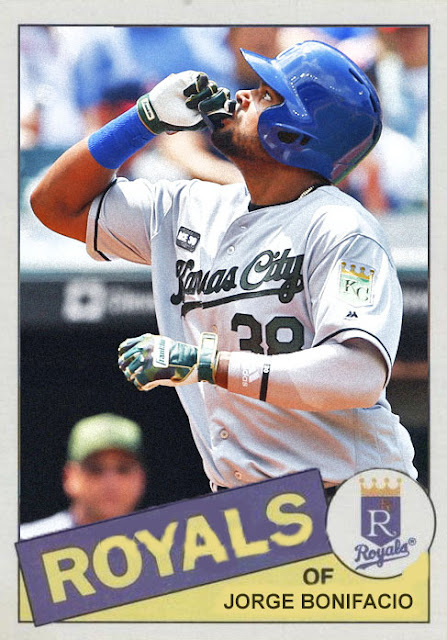 2017 Royals. I imagine people will point to this squad as the last breath of those WS-competing teams of the middle part of the decade. It looks like Hosmer, Moustakas, Cain and Escobar are all leaving, and they're not leaving a lot behind. 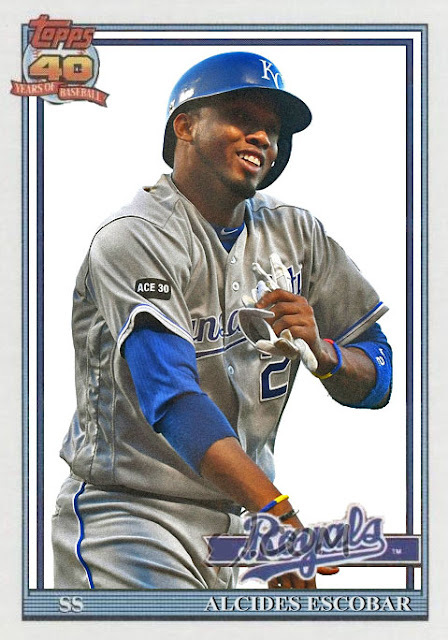 Even if Alcides Escobar hasn't had great numbers in a little while, he'll still be a potential commodity for someone. 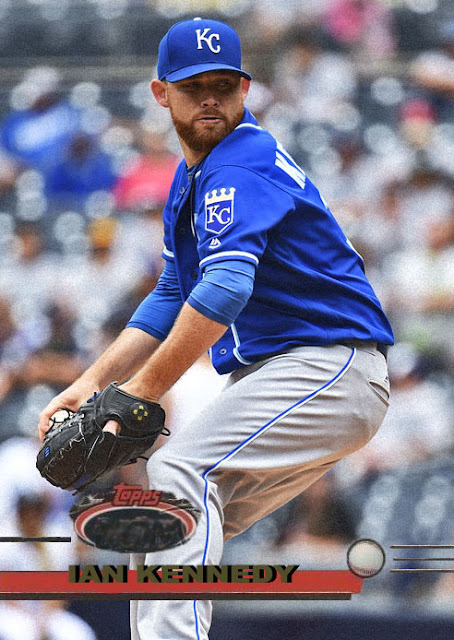 I think we've established that Ian Kennedy isn't going to have many seasons like his Diamondbacks ones. 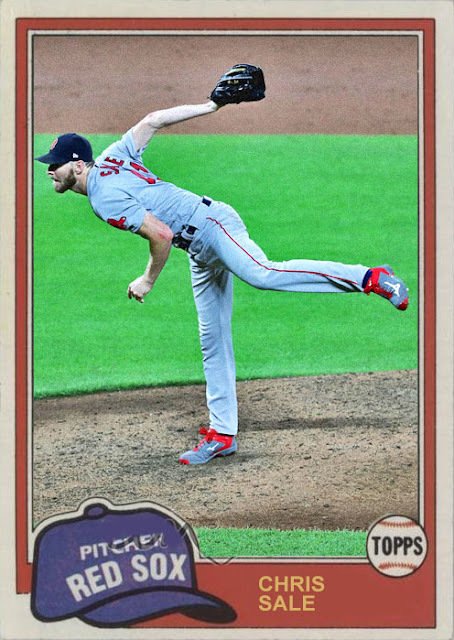 He's...an alright veteran arm. That's all he is. His numbers in 2017 were very okay, with no real spectacular moments. This may be what we're getting from here on out. Jorge Bonifacio had a promising rookie year, nabbing a starting spot early on and having some nice numbers as their tentpole stars declined. He'll probably be relied on a bit in 2018, if his numbers are consistent. Jakob Junis was a late-season call-up that worked...admittedly better than Eric Skoglund. He had some great games, some good strikeout stuff, and maybe he'll nab a spot in the 2018 rotation (which won't be particularly difficult). 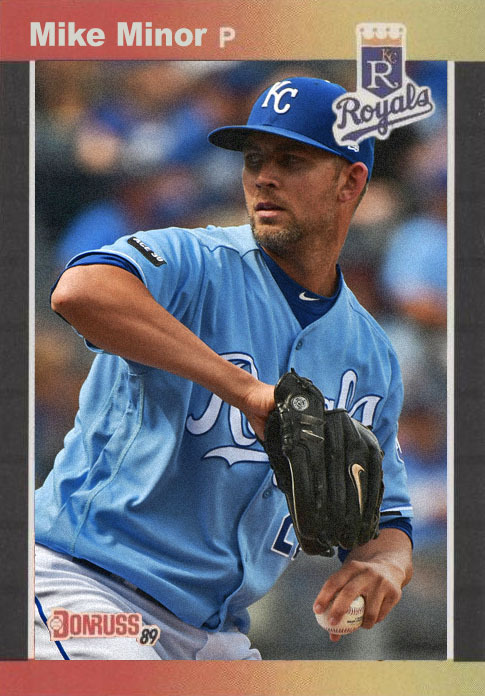 Mike Minor had a fantastic season in relief, doing even better than the pegged closer, Kelvin Herrera, and giving him the breakout season he needed as a reliever. Next year, the Rangers' plan is to employ Minor as a starter again, which...could work? I'm not sure. The Rangers seem to know what they're doing, but I'm still hesitant. 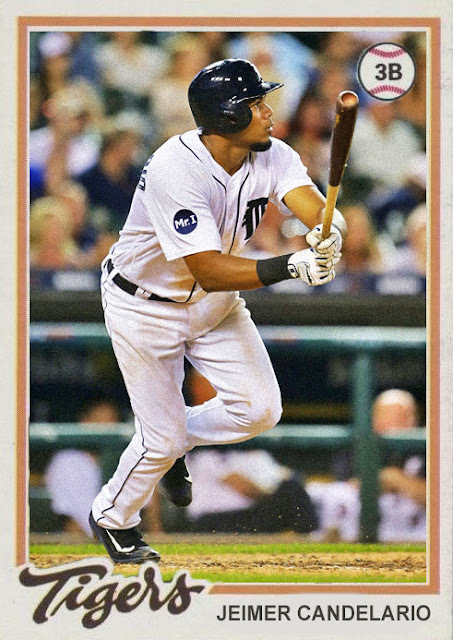 Coming Tomorrow- The dilapidated, cherry-picked, soon-to-be-Last-Place Tigers. 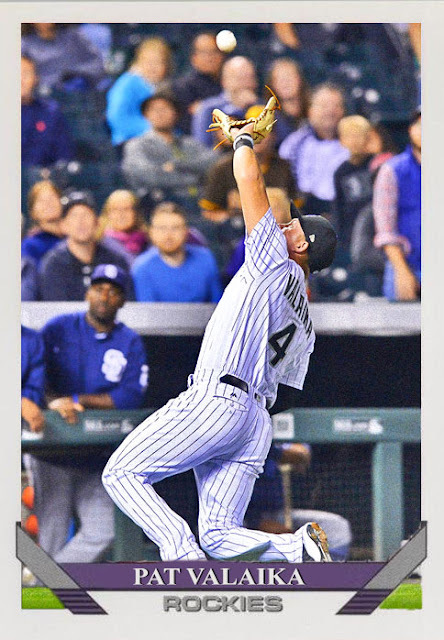 Big year for the Rockies. The youth and power they'd been building the last 4 years finally paid off and brought them a playoff-caliber squad. Hell, they barely relied on established star Ian Desmond, who they signed a multi-year contract for. 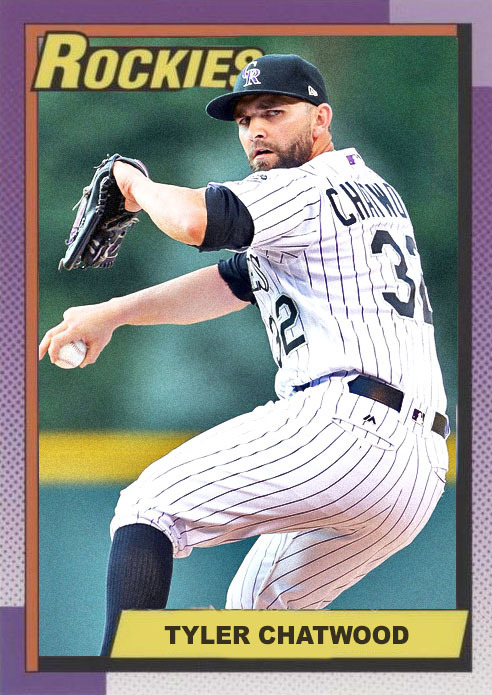 Tyler Chatwood, as the sole veteran presence in the youth-led rotation, did an admirable job, and won a rotation spot in Chicago for his good graces. This guy's (Ignore the pitcher marking). 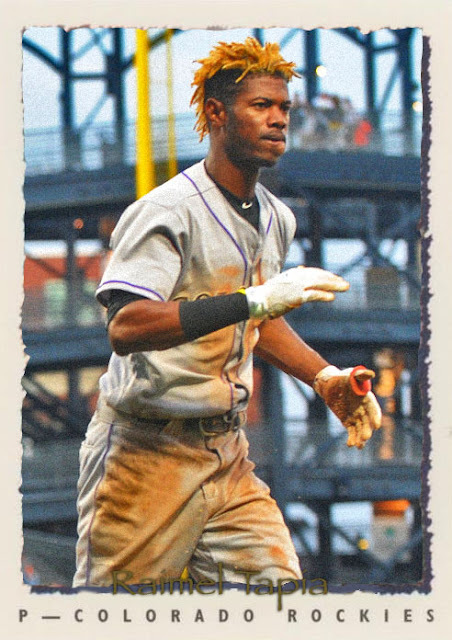 Raimel Tapia had a great rookie season, despite the initially crowded Rockies outfield that cleared up once David Dahl decided to sit the whole season out. 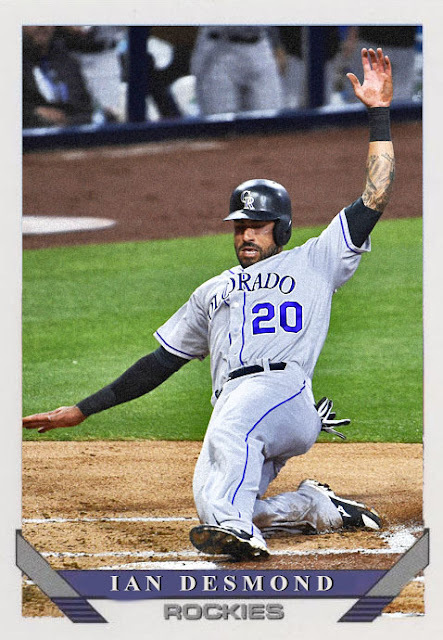 Tapia will definitely be in the mix for the starting spots next season, as the Rockies are figure out how to deal with a sinking CarGo, a gaining Gerardo Parra, and the aforementioned Dahl. 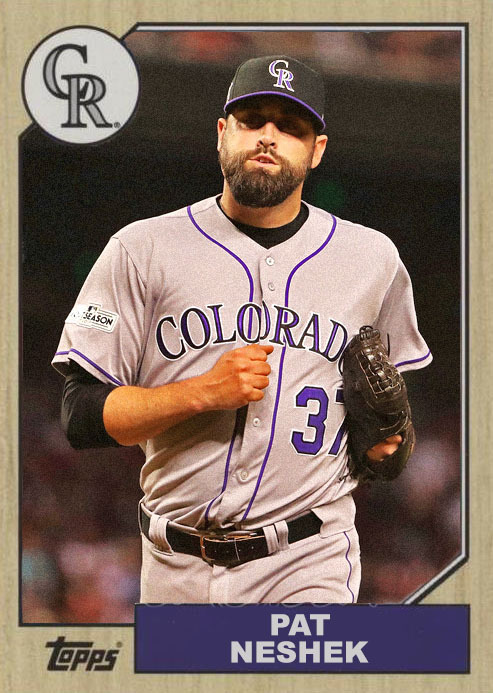 This guy had a pretty decent end to the season, helping Jake McGee hold up a pretty impressive front in the bullpen. He's gonna be back in Philly this year, but he still helped bring his career back by giving great numbers for the Rockies. Coming Tomorrow- Not necessarily playoff-caliber anymore, but with a high number of bats they still tried their damnedest this year. The least you can say about the 2017 Cincinnati Reds is that they were trying. The wheels were turning. The farm system was beginning to unleash some impressive people. The trouble, of course, was the pitching- the good pitchers got injured, leading to some less-than-perfect performances on the mound. At the plate, the Reds were fine- Jose Peraza was the starter at 2nd on the year, eventually switching off with Scooter Gennett. He did...a good enough job. 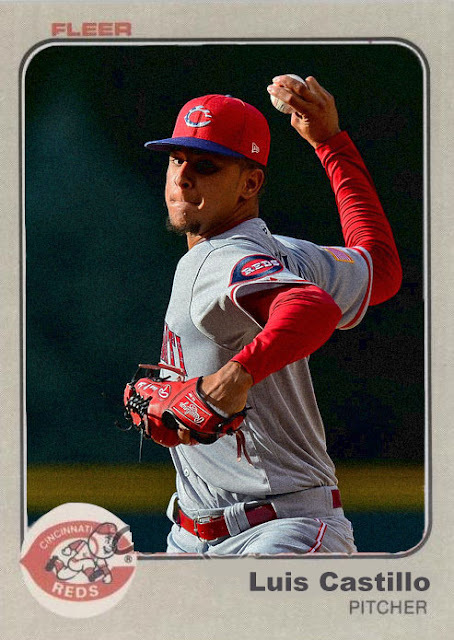 Luis Castillo was one of the few pitching rookies that went well for the Reds, as he had some nice starts and a good number of strikeouts before some DL time shortened his season. 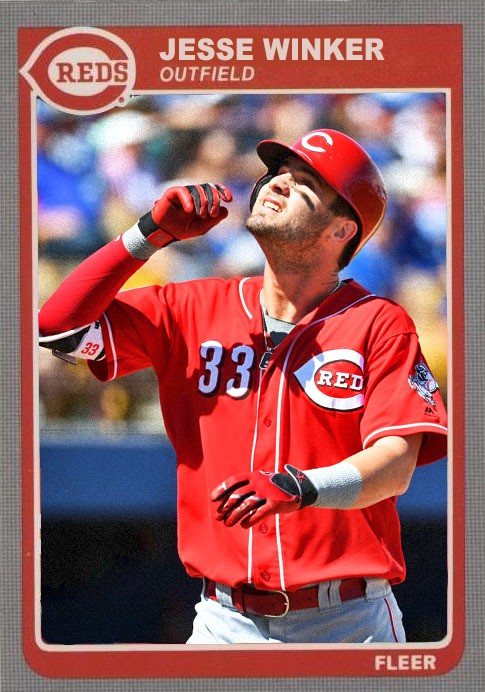 Jesse Winker also made the most of his call-up, hitting really well, and making a case for a starting position in 2017 after a gestating Billy Hamilton trade, before himself getting injured. Raisel Iglesias continues to be a fixture in the ninth, still holding his own as the team closer after being deemed too wild for the rotation (sound like a former Reds closer we know?). He'll probably be back at it in 2018, albeit hopefully with a stronger bullpen around him. I already made one of this guy for 2017, but from the season he had, and from the leadership he's given this team, he deserved another one. 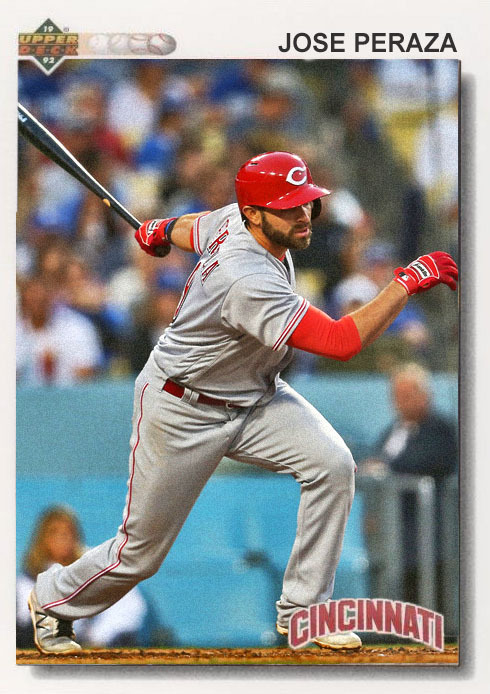 Joey Votto came so close to getting his 2nd MVP, and could definitely snag another one soon. I'm not sure how long he's got left in Cincinnati, but hopefully they'll keep him around til the end. 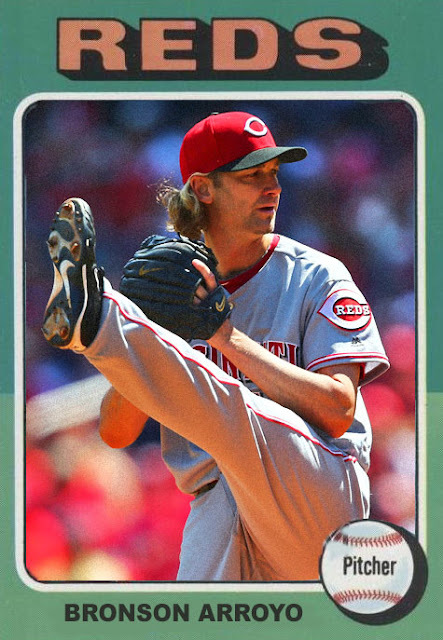 This guy, a Reds' hero for near half a decade, finally hung up his spikes after around two decades of service, and a few seasons of injuries. 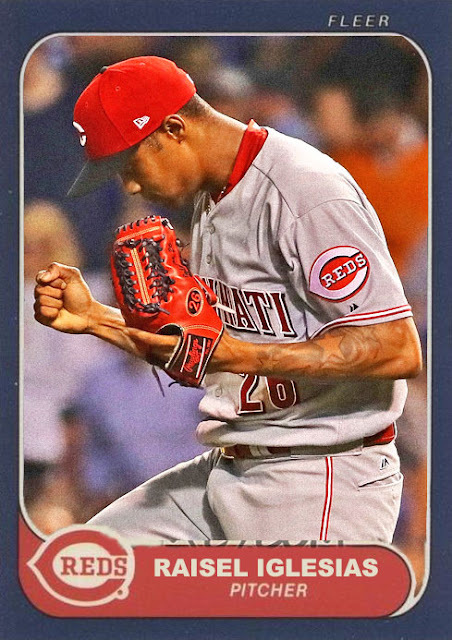 He had some nice starts in Cincinnati, after it looked like he was one of the few healthy options for him, but his age caught up to him, giving his finishing year a bloated ERA and another injury-laden stretch. 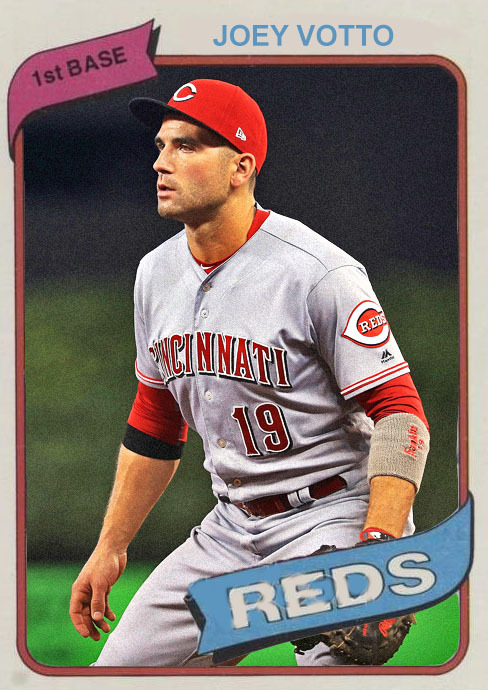 He'll still be remembered fondly by Reds fans. Coming Tomorrow- Nothing, as it's Christmas, but Uncustomed Heroes will be back on Tuesday with a team that got so dangerous that they nearly snuck into the playoffs. Another year, another first round exit for the Boston Red Sox. The sad part is that this team is slowly getting better, and refining their strengths. No longer are they the 'playing for this year', ragtag team of bearded fellows from 2013, but they have a core of people that have been grown from the farm, and have been signed to build on their success. This is a team that's engineered for long-term success, and it's got to be frustrating that it hasn't happened yet. Especially to people like Dustin Pedroia. Yes, the guy has been through two World Series-winning teams, but he probably expected it to be more consistent than just dropping everything and getting back a few years later. He had a down season this year, but hopefully will get back to more consistent offensive work. 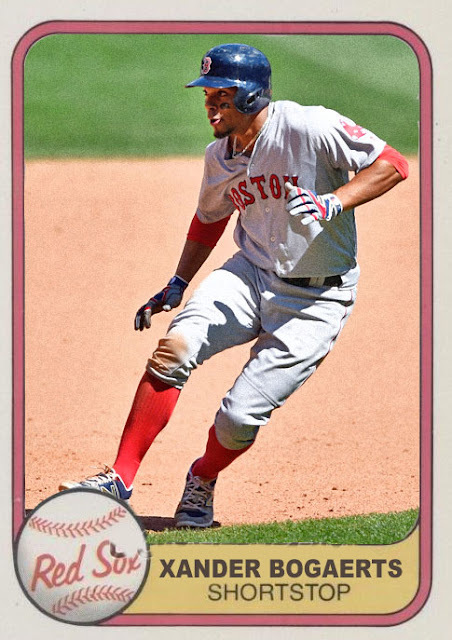 Xander Bogaerts was also down a bit from his usual high-average work, putting in a decent enough year. I'm thinking he'll be back in full-force for 2018, and helping the team back up. 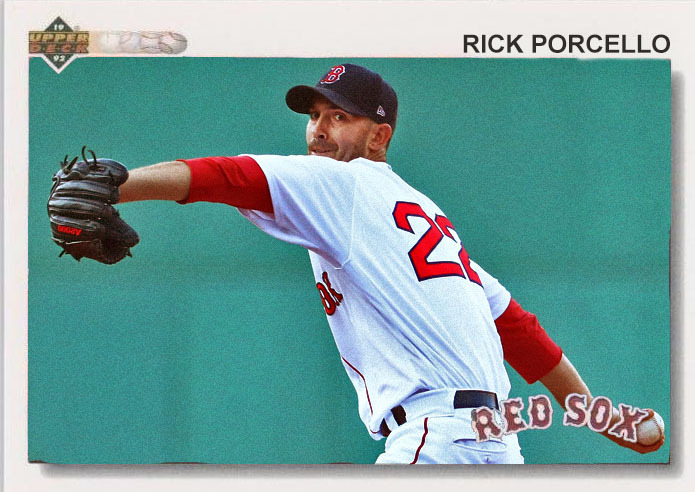 Last year's Cy Young winner, Rick Porcello, had an opposite-caliber season, racking up a ton of losses and sporting a bloated ERA, sinking to the middle of the rotation the more people like Drew Pomeranz and Eduardo Rodriguez grew in power. 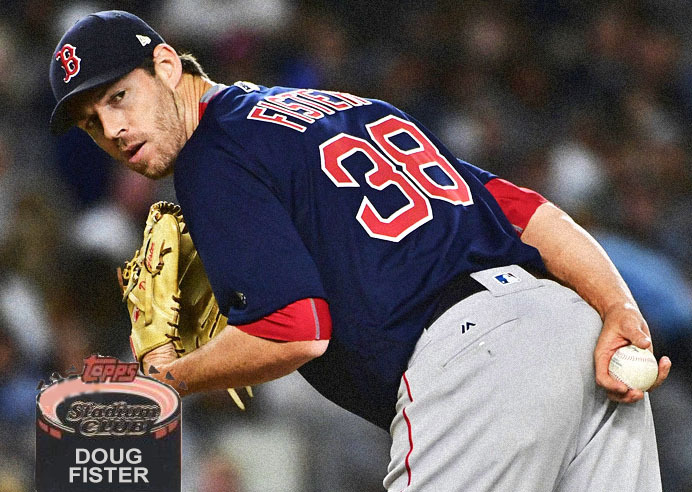 Doug Fister was a mid-season pickup, saving him from doing subpar work in Anaheim and plugging him right into the rotation, where he quickly got back to familiar territory covering for injured rotation members. Next season he'll be trying to fix the Rangers' rotation. 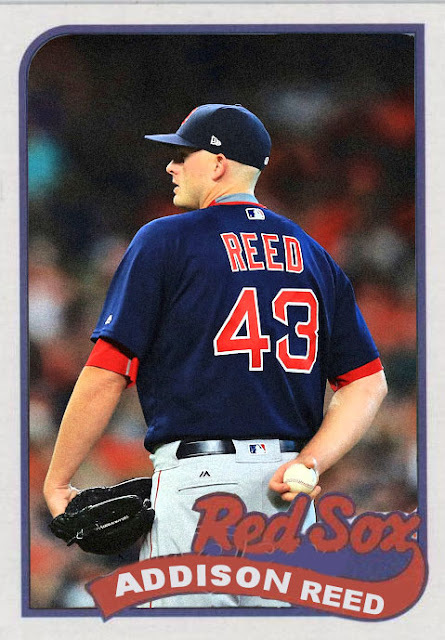 After a great start in Queens, Addison Reed landed in Boston for the stretch, not exactly continuing his Mets numbers, but doing well enough to stay an important part of the bullpen. If it weren't for a few bad starts in August, this guy would have FINALLY received his first Cy Young award. 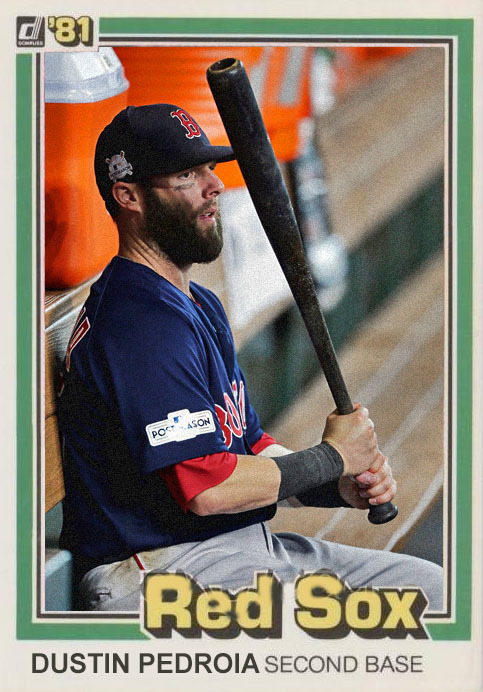 He was in career form this year, giving the Sox exactly what they traded for, and building on what could be a career-defining residency in Boston. Coming Tomorrow- A team that is slowly building back some momentum, despite losing a ton of veterans and heroes. So, now that Evan Longoria's been traded, the Rays...still sort of exist, but might sink into oblivion for 2018. Yes, they still have Kiermaier, Dickerson, Morrison and the guys that did well this year, but they don't have the safe, franchise-building star that Longo was, so...now they have to rebuild a little. 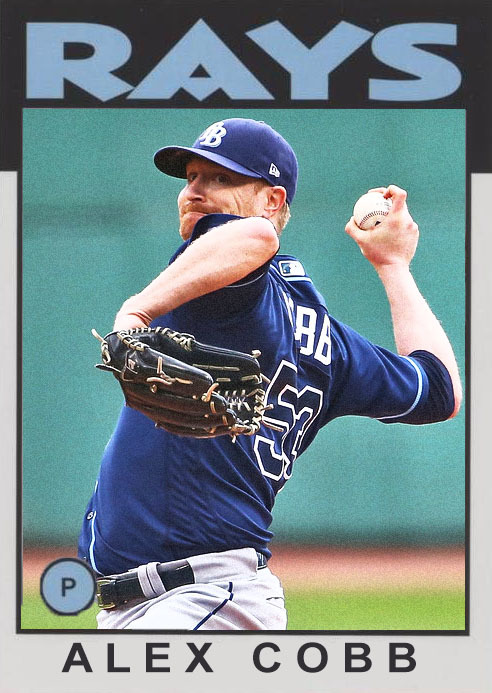 Alex Cobb did his usual work as a mid-rotation starter, which was nice, as Chris Archer is probably gonna leave soon as well. 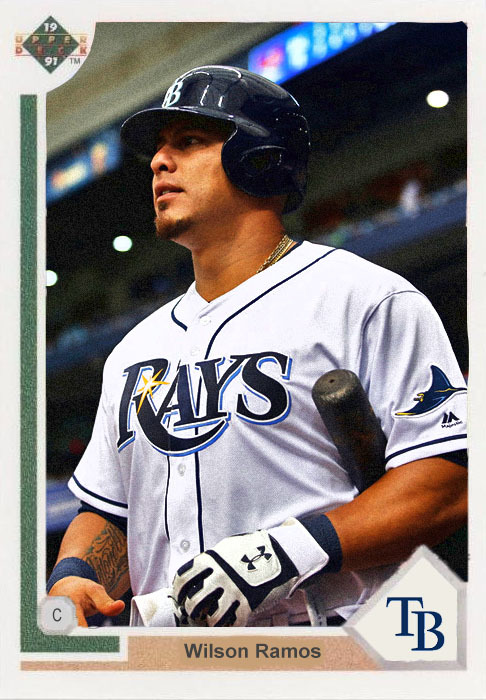 Wilson Ramos was a new addition from the offseason, to offset the lack of good catching choices in Tampa (Curt Casali included). After missing a month or so due to injuries, Ramos got back to his business of...well, being a solid catcher and not doing a great deal offensively. So everything he was in Washington before 2016. Which isn't bad, just...probably not what the Rays wanted. 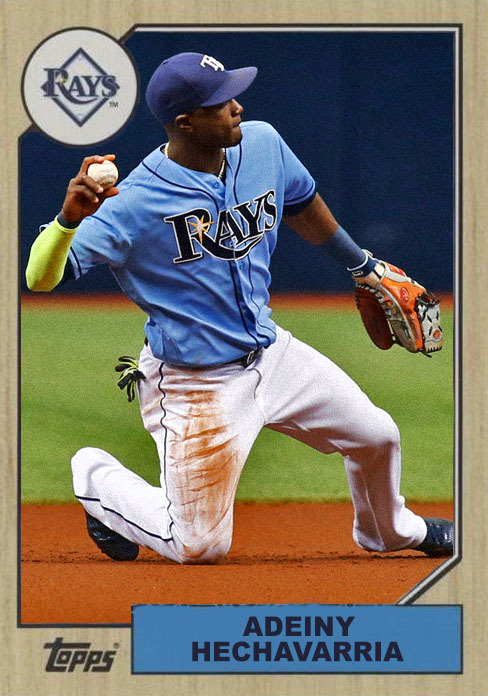 Adeiny Hechavarria was an early-season trade, as the Marlins were inundated with young shortstops, and the Rays were about to lose theirs. It all worked out, as Hechavarria had a nice enough season, and seems to be sticking around. 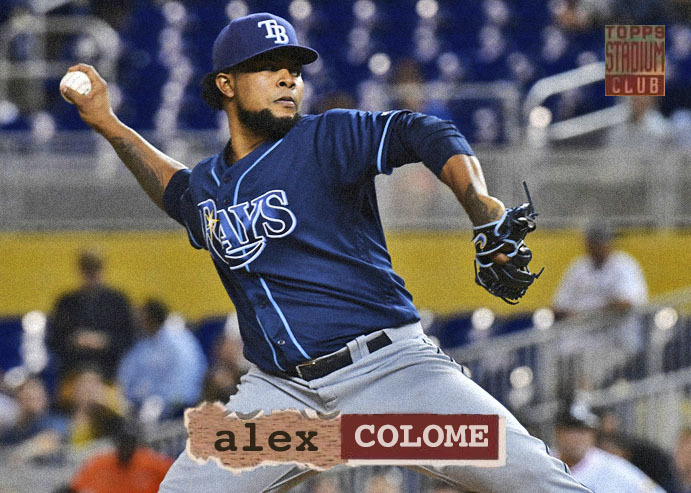 Once again, Alex Colome had a great season of high-saves and solid mechanics. I'm hoping the Rays can build a great team on this guy before he goes and joins a contender. Coming Tomorrow- They did well, but lost momentum just as their division rivals gained theirs. Off year for the Rangers. Lots of injuries, inconsistency, and...lack of Yu Darvish. So overall, net loss. 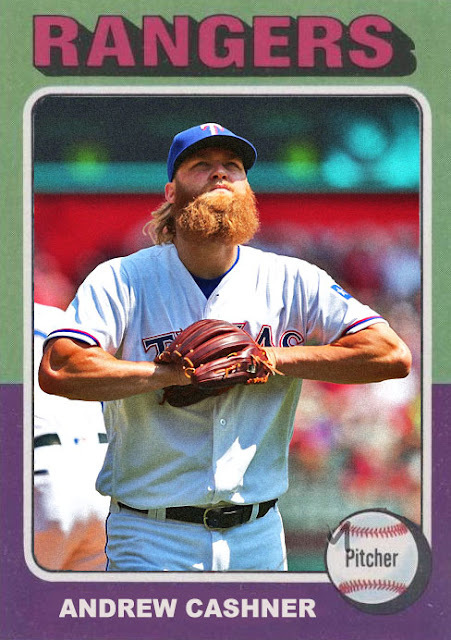 Andrew Cashner had a very odd year. Half of his statistics said he had a great season, the other half said he had a poor one. I'm not sure which belief is the lay of the land. He got wins and a low ERA, but barely any strikeouts. I doubt the Rangers will be bringing him back next year. 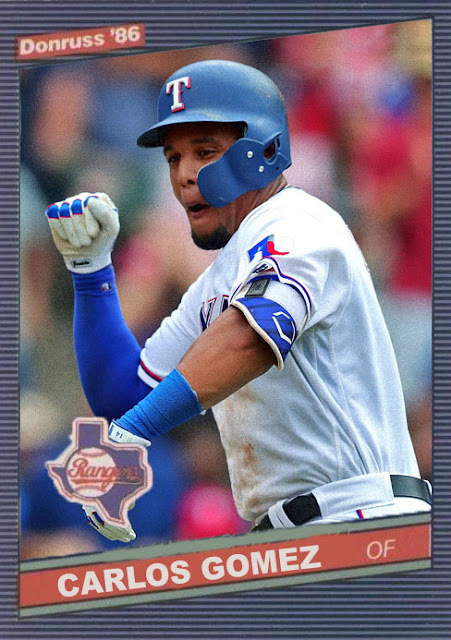 Carlos Gomez had another okay year, doing well enough in the outfield to garner fans, but not well enough to reach his peak Brewers numbers. 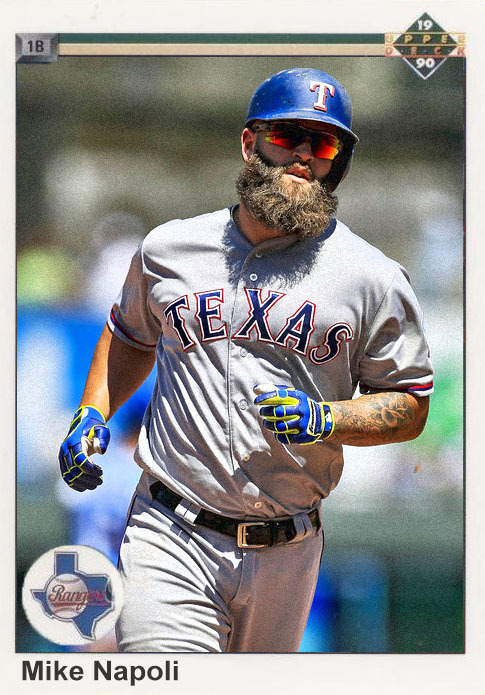 After having a pretty stellar season as DH in Cleveland, Mike Napoli returned to Texas, where he made his reputation, and....kinda stunk it up. 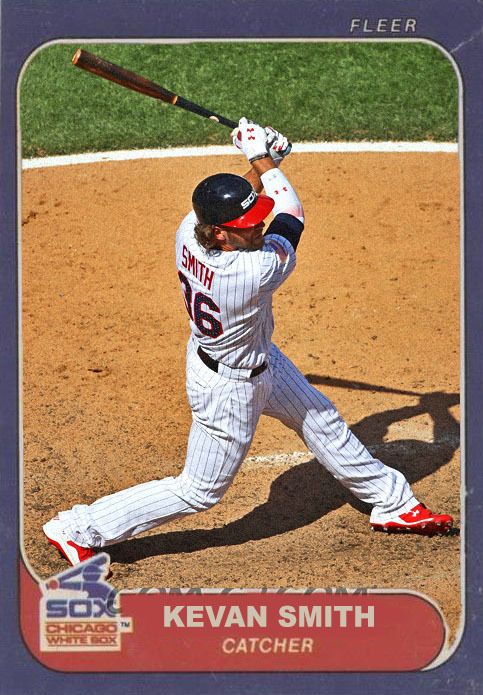 Like, he didn't hit for average, he barely hit home runs, and...he's probably not gonna be back. So, that's kind of disappointing. 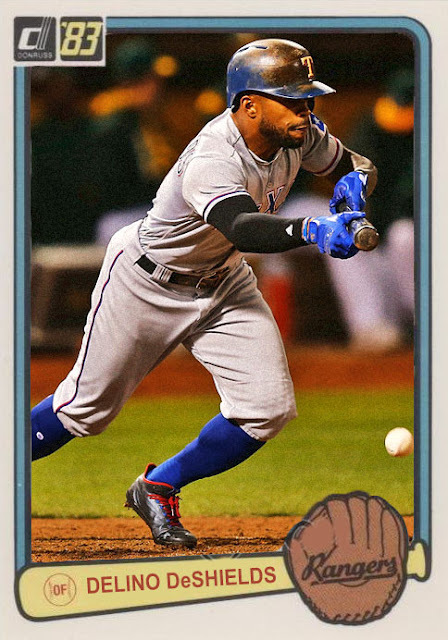 Delino DeShields, after a subpar 2016, finally had a better season, covering more outfield time, and making a huge case to be a regular starter in 2018, as the Rangers begin to shift toward a youth-based squad with the rise of Willie Calhoun. Coming Tomorrow- The Rays just lost their franchise player, but they still have some talent left. 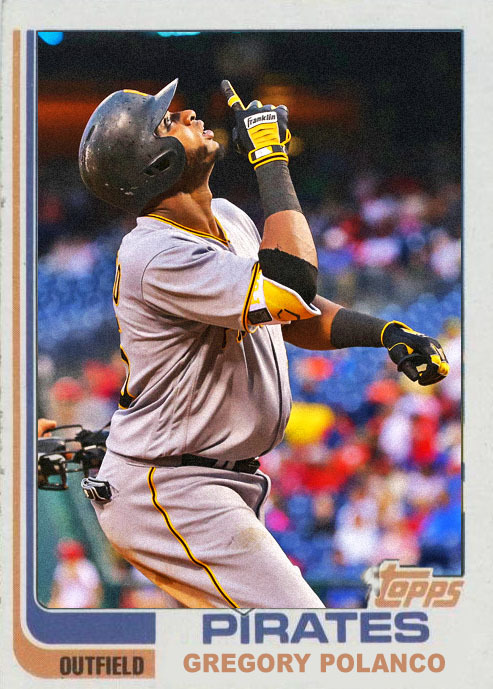 In an era where the Cubs are strong, the Brewers are building, and the Cardinals are desperate to compete, there's really not a place for the Pirates in the grand scheme of things. Dn't get me wrong, they're not at 2008 levels of effeteness, but 2017 was another step in the opposite direction, as a lot of the young stars they were banking on either slumped or got caught with steroids (...Starling...). Gregory Polanco had a down season, marred with injuries and pressure once Marte left. 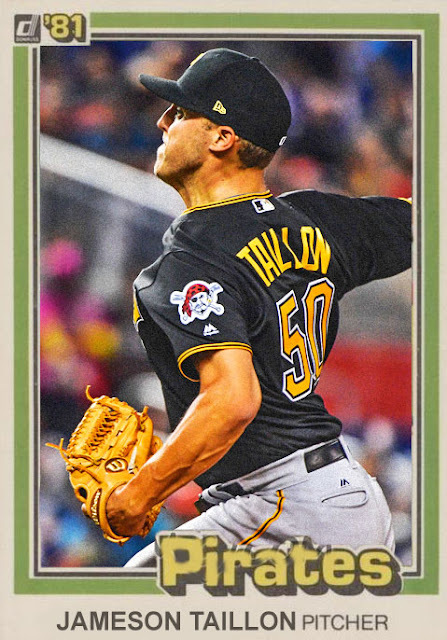 Jameson Taillon, despite some bad starts, seems to have a good hold on his mechanics, and could have a great season on the way, whether or not the Bucs hold onto Gerrit Cole. David Freese, who was formerly one of my least favorite players, has become a pretty decent utility infielder in Pittsburgh, not being relied on to start as much, but giving veteran expertise and knowhow to a younger team, and coming in the clutch with some nice hits when he can. 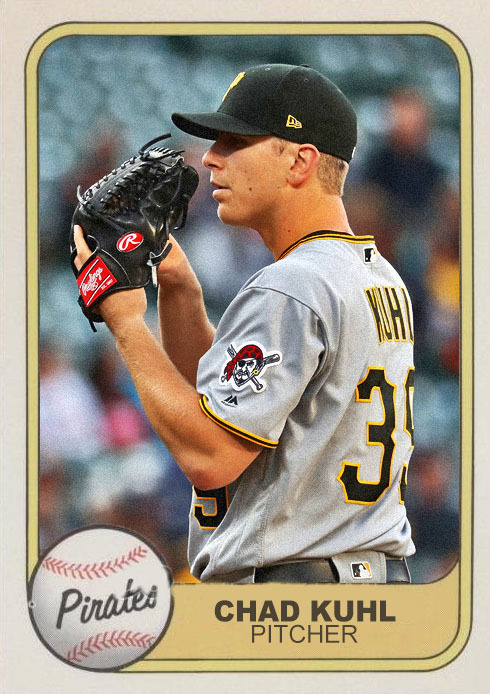 Chad Kuhl, the other decent pitching rookie from 2016, had a decent enough sophomore season, having a nice record and strikeouts, but it doesn't mean much if the team's not effective at the plate. Coming Tonight: A team that didn't seem to mind that they lacked a majority of the momentum that made them unbeatable last year.